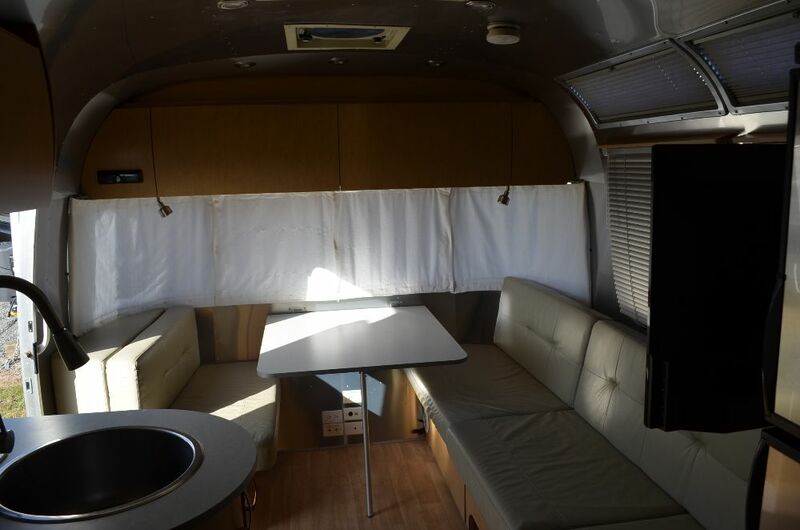 One of a kind Airstream with lift up full bed and additional sofa up front offering an added living area with TV separate from the standard rear living room. Can easily be returned to front twins if wanted or needed. Bed is approx. 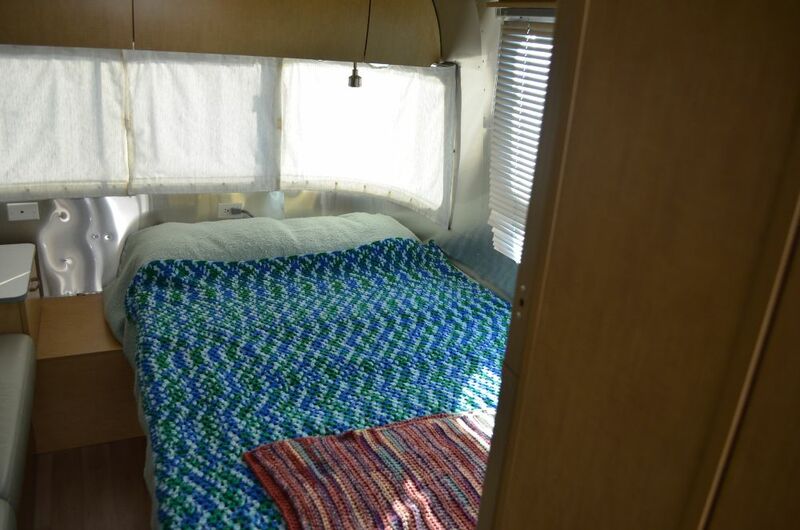 51X80 (Full bed is 54X75) and lifts up to reveal underneath storage. Sofa in bedroom is a duplicate of the living room sofa in this floorplan. 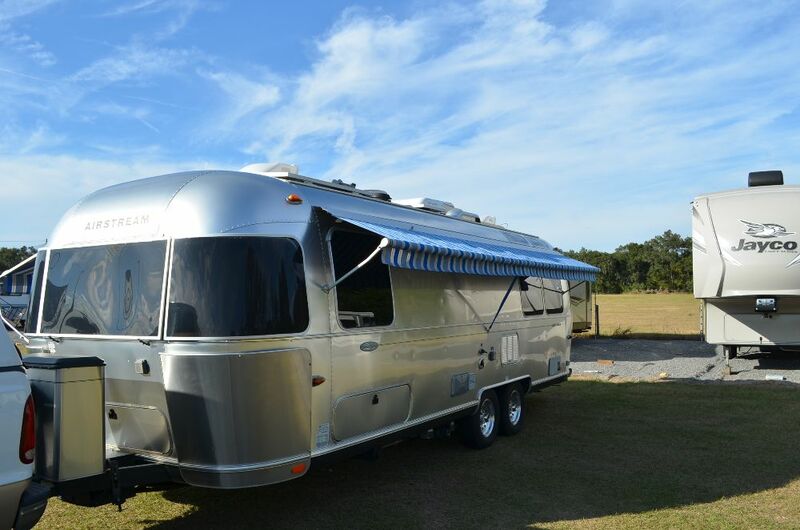 This Airstream was spec’d out and ordered from the factory by me and sold to a customer who was unable to use it due to medical issues. I bought it from him and so I have had it since new. Part Flying Cloud, International and Classic Limited all in one. 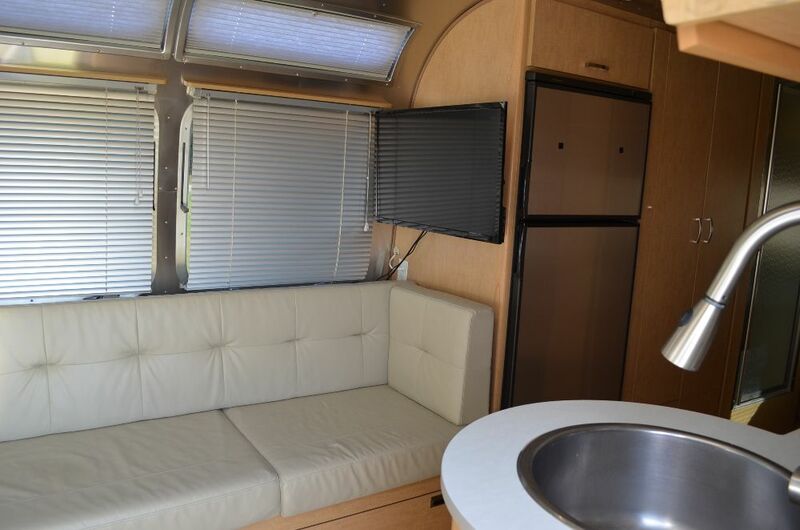 International Taupe Ultra Leather throughout including additional front sofa, International wheels and bath sink faucet with added built in soap and lotion dispensers. 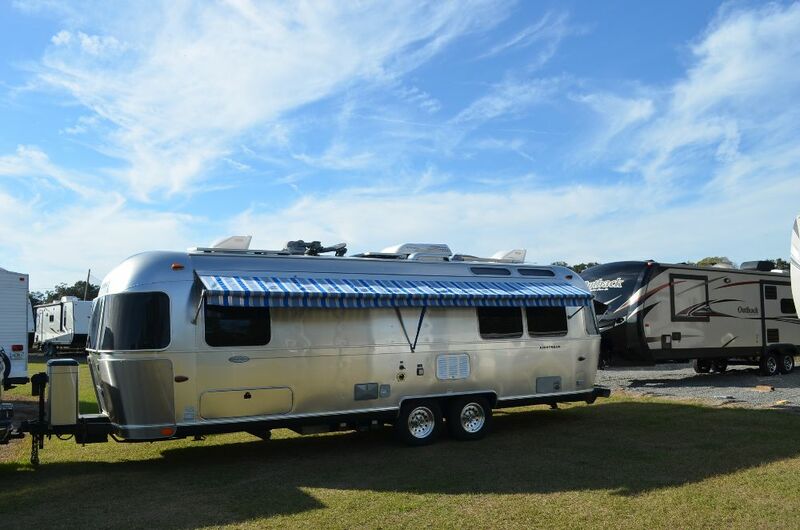 Classic Limited main awning and full length driver’s side awning, with rear awning Flying Cloud grey. 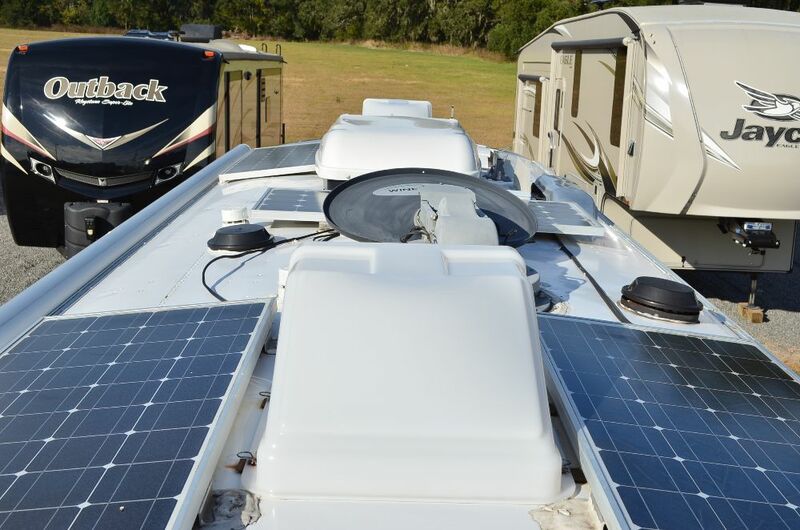 Set up for dry camping with 360 watts of solar via (4) panels and 30 Amp controller, (2) 6 volt golf cart batteries (new in Oct 2018), built-in 600 watt inverter and additional LED lighting. Extra never used inverter included. Additional LED light strips over cabinets beautiful at night against interior walls. Roof mounted Trav’ler robotic Dish satellite antenna wired to inverter circuit so it can be used while dry camping. Can pay as you go/need with Dish Network. Dish receiver included. LP quick disconnect added under stove for use with catalytic heater for electric free heat while dry camping. Additional LP QD mounted outside for use with BBQ. Two TVs in coach with swing out brackets. 3 burner stove with Sharp convection oven/grill/microwave option in lieu of gas oven and pantry mounted micro. This offers amazing cooking, baking and grilling and greatly increases pantry storage. Custom pull out faucet in galley. Two Fantastic Fans in ceiling with the rear fan able to blow in or out. This allows greater air flow through coach. 15000 BTU AC with heat pump option new 2 years ago. Refrigerator new 2 years ago. 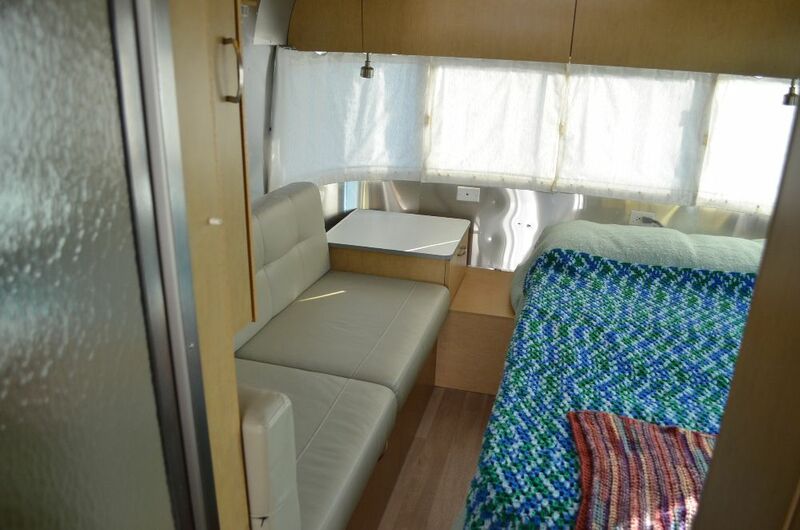 Large double door closet in hallway and additional upper wardrobe and towel/ linen storage closets in bedroom not offered in standard queen floorplan. Twin floorplan offers the largest outside storage capacity available with (3) separate compartments in addition to rear bumper storage. E rated tires with exactly 4000 miles installed 3 years ago. Equalizer anti sway hitch included. Small dent left of front window rock guard, small ding left of door hardly noticeable and ding at front top from pebble on roadway. Minor scratches only noticeable during certain light. Small ding on LP cover. Small spider crack in driver’s side window guard not noticeable from outside. Overall body is in great condition. 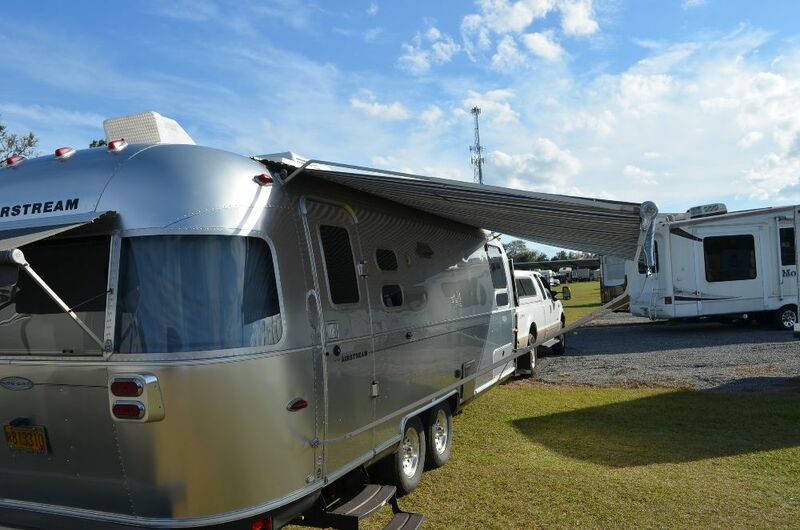 Some filiform as normal with Airstreams. Scratches on interior wall behind booth seat. Dented water tank cover under coach from campground landscape rock in Oregon years ago, did not damage tank itself. 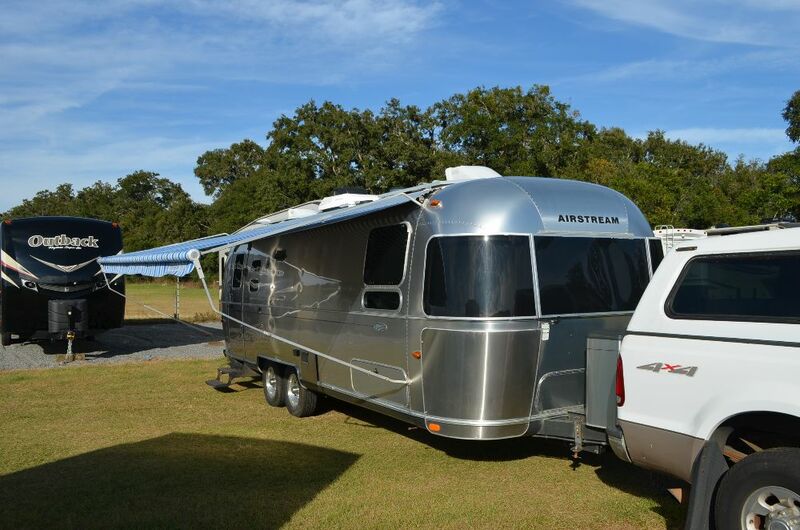 All in all this Airstream is in great condition and has been well loved and enjoyed. 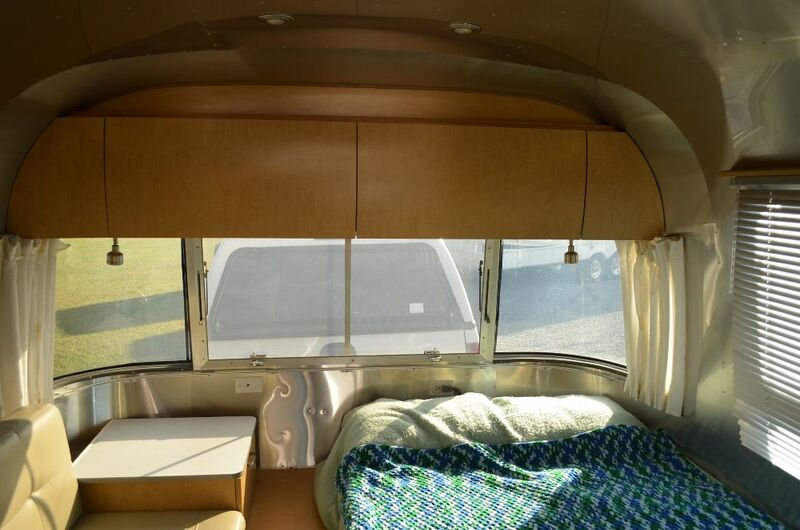 I have owned Airstreams my entire adult life and I will surely miss this one.